The baby with the heaviest birth weight of 13.1 pounds (5.94 kilos) has been reported from Balapitiya. This baby boy will be among the 11 heaviest birth weights in the world, according to the Guinness Book of World Records. born in the US and Italy. The Balapitiya baby boy’s mother is 28-year-old Nadisha Nilmini of Hamburugala, Horawala. 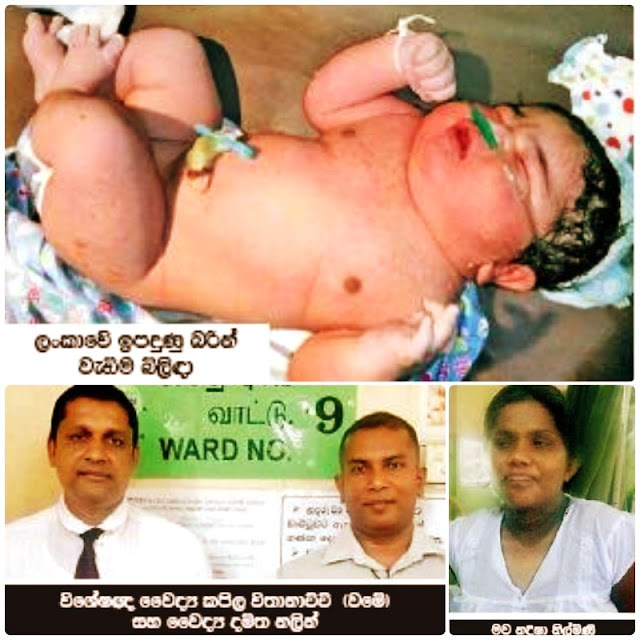 She gave birth by cesarean section, performed by a team of doctors led by Dr. Kapila Vitanachchi and Dr. Damitha Nalin at Balapitiya Base Hospital. Both the mother and the child are doing well.